Indispensable tool for a web developer! Do you want to have a platform for running sites on PHP in any convenient place? It’s possible! 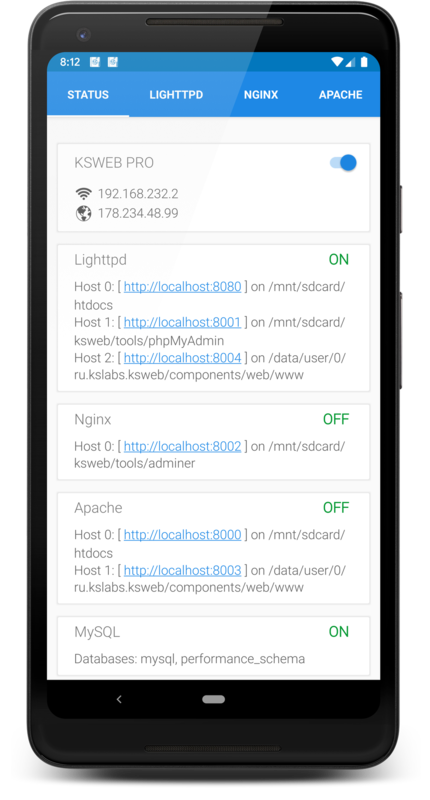 It is enough to install KSWEB on your Android device and copy scripts to the htdocs folder on the memory card. After that, you can run your web content! 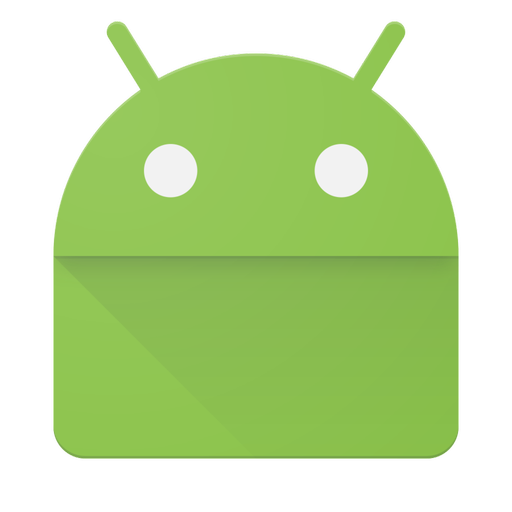 So, KSWEB is a set for web developer for the Android platform. The package consists of: web server, FTP server, PHP programming language, MySQL DBMS and scheduler. KSWEB does not need root rights for proper functioning, unless, of course, you want to use the server on port 80. By the way, it can be convenient when opening your server on the Internet. This will allow you to have a small hosting in your pocket! To start the web server, you need to: start KSWEB, specify, if necessary, the port and the root directory. By default, KSWEB contains fully-configured configuration files for all components. Our package easily runs popular CMS and frameworks such as Yii2, Drupal, Joomla, WordPress, MODX, etc. If you have any questions about how to run this or that CMS we will answer them! KSWEB is completed with a scheduler with cron-like expressions. Plan and perform some useful work on your web data. The friendly user KSWEB interface and the willingness to answer questions will allow you to realize all of your ideas. Use ours text editor for editing PHP, HTML, JS, CSS files! It will highlight your code and will help you not to get lost among it.